Sony SET Max, a Sony group of TV channels is telecasting IPL 4 crickets matches live on televisions. IPL 4 season features 74 matches between 10 teams over a period of 52 days. It’s a fun filled event for cricket who are mad at hard hitting and ruthless batting power display. If you want to watch 2011 DLF IPL 4 T-20 cricket matches online, you can catch live streaming on YouTube and Indiatimes websites for free. The live streams are available to all the viewers across the globe without any restrictions as we seen in 2011 ICC Cricket World Cup live streaming. Along with the live streaming of matches, these websites also offer various videos like – highlights, playback sessions, post match presentations and other interesting stuff for your reply. Hope these streams lets you enjoy cricket when you are working with your computer. 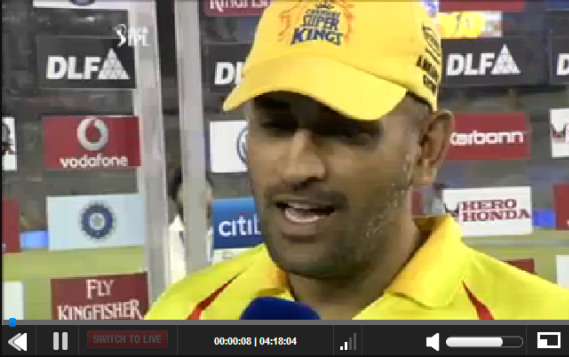 It is a huge hit too.Indiatimes You tube Channel is getting millions of hit everyday because of this free live streaming of IPL 4.